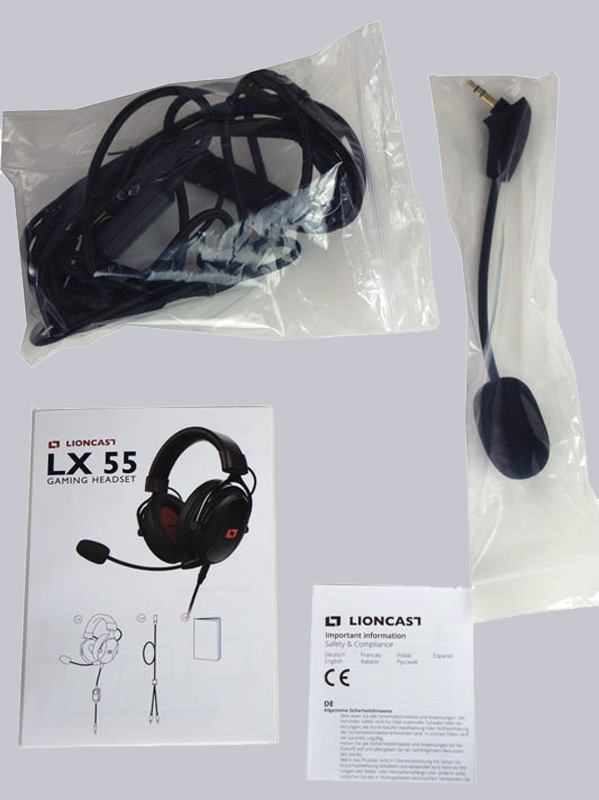 Many thanks for the support to r0s4 and for the quick delivery to the manufacturer Lioncast. 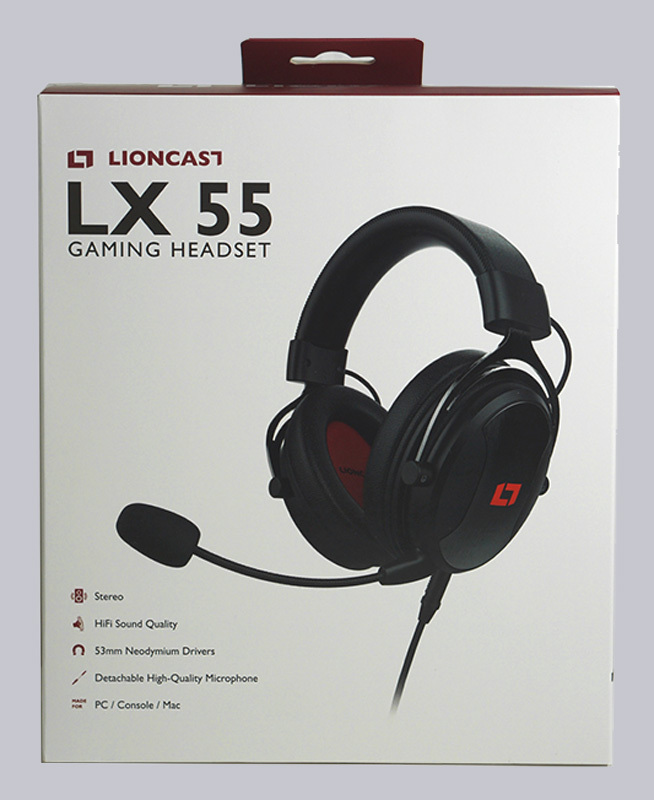 The Lioncast LX 55 Gaming Headset has at review date a price of approx. 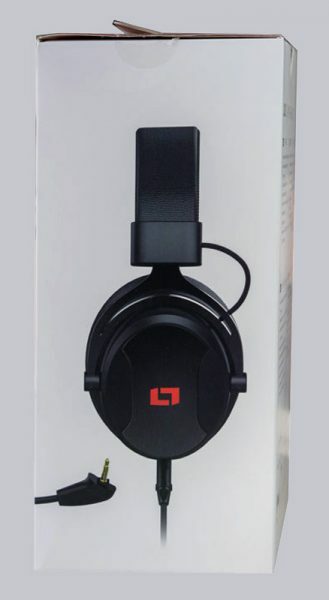 60 Euro (03/2019). 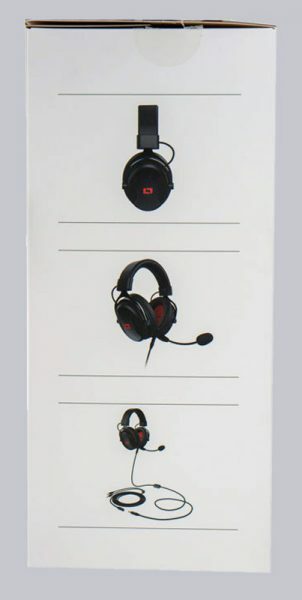 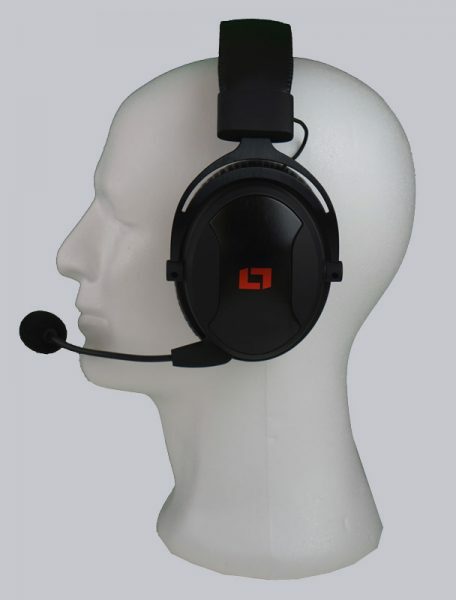 Here you can order the Lioncast LX 55 Gaming Headset at a reasonable price. On both sides the headset and the cables are shown again. 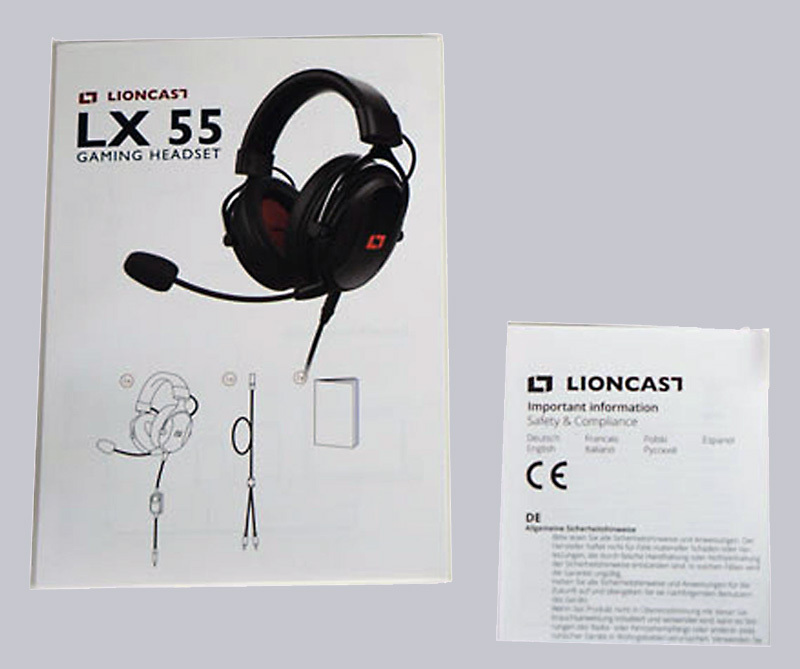 Here you can already see the detachable microphone. 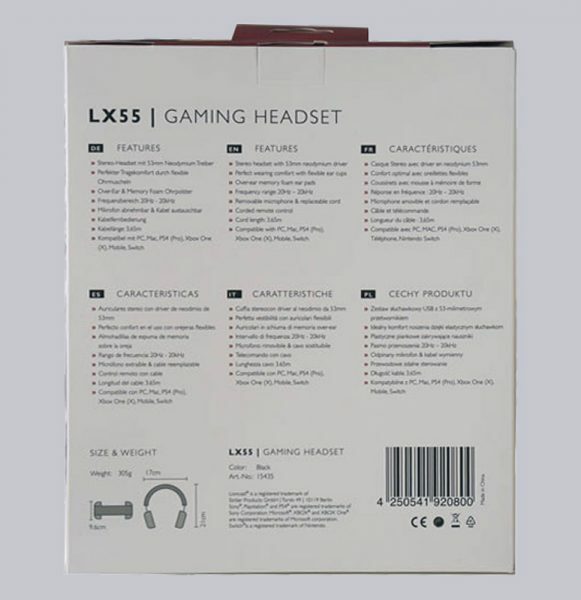 And here you can see the included accessories. 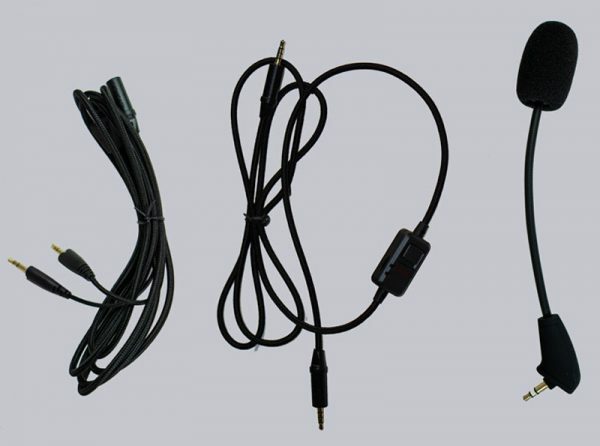 The modular microphone, a sleeved Y-cable and a sleeved extension with mute button and volume control. A Quick Start Guide and the safety instructions are also included.